I also did some gardening and planted things that could go in the ground now. I finished putting seed in their pots to start growing to go in the ground later. 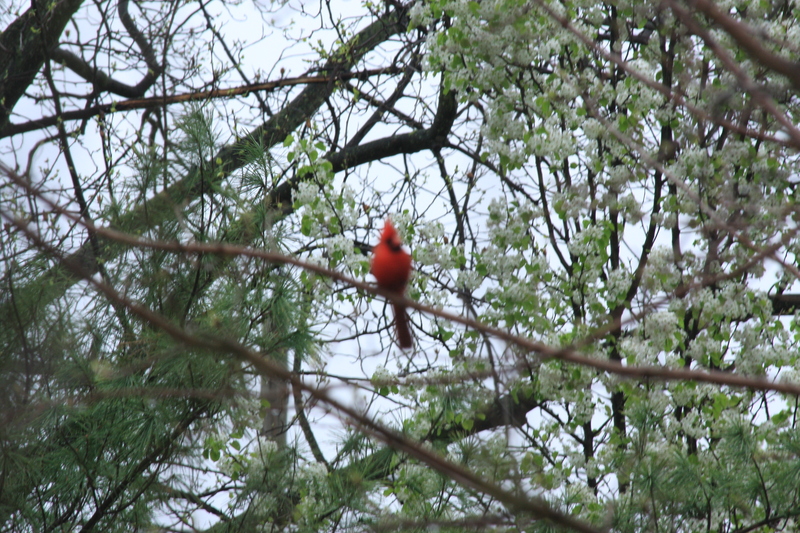 The birds were also out again and enjoying the bird feeders. 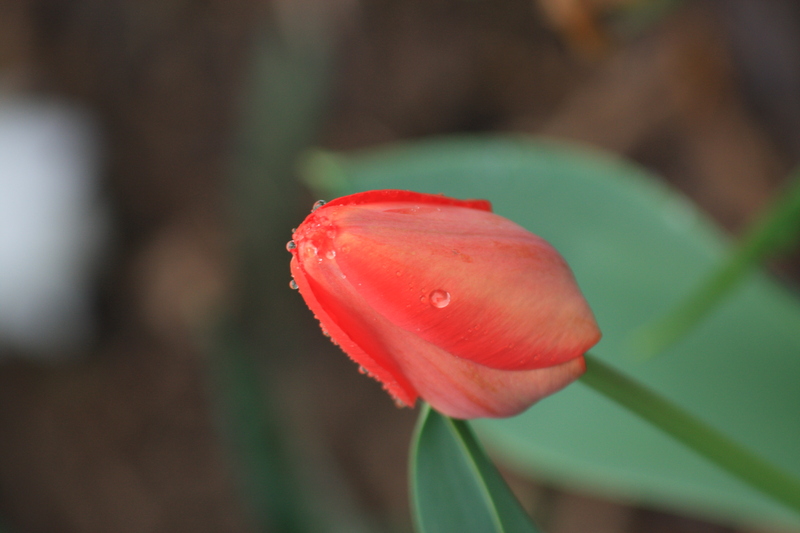 I also noticed out tulips had started to bloom and they are such a pretty red. It was such a nice day… I hope it was for you too. I wanted to thank all my new (and other) followers and anyone who has liked or left a comment. I really appreciate it as today has been my best day for traffic to my site yet 🙂 I hope you all have a blessed week. Thanks so much 🙂 I do love my girls and the tulips were just right today:) Thanks for the comment. Lovely. I wish our dogs and chickens were as compatible as yours! It’s happening, but very gradually. Give it time… if you allow time for them to be together and don’t worry too much they tend to work it out. I just make sure the dogs don’t chase the chickens and just tell them no when they do. It seems to be helpful and not much more is needed. The chickens do take care of themselves if needed giving the dogs a good peck on the nose or tail. Thanks for your comment. 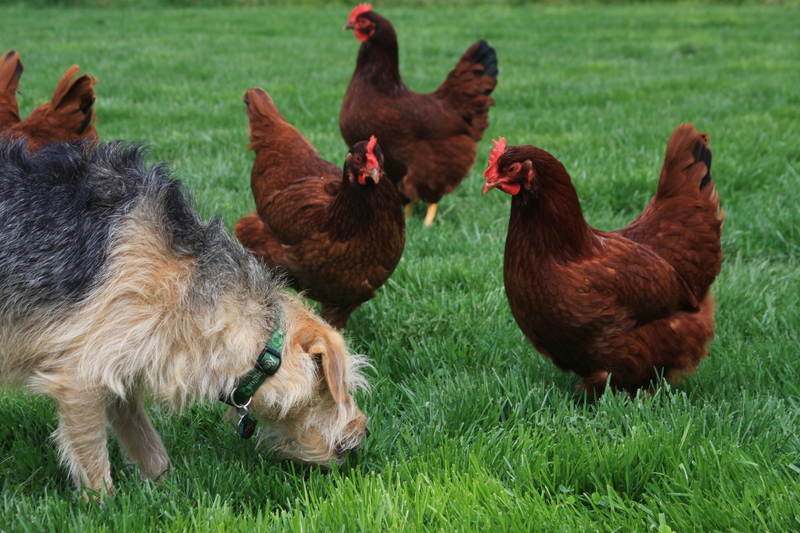 What fun pictures of the dogs and the chickens “sharing” the yard! Sounds like a perfect outdoor day. And yes, we’ve had some lovely spring weather here as well. Much earlier than expected, but we are grateful. 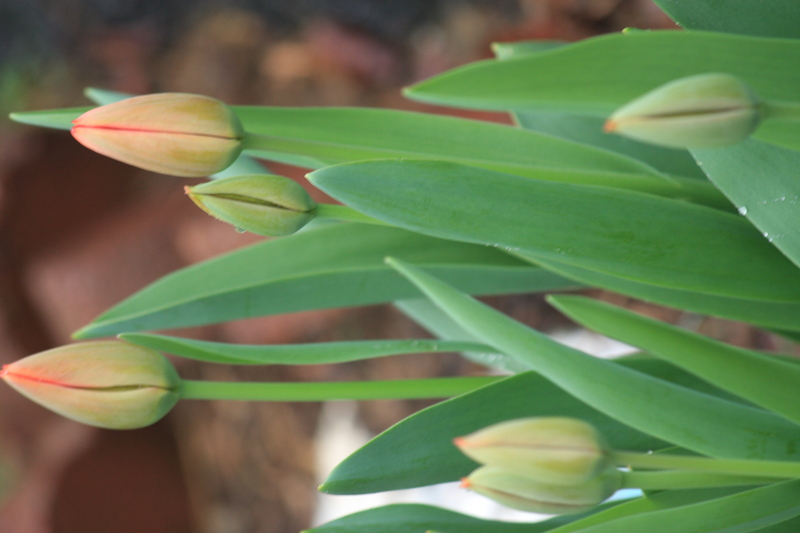 🙂 The kids have been tracking the blooming of some bulbs in our yard — first the little green shoots, then the tucked away flowers, and finally the blooms. So enticing, to just be outside! I’m sorry the tulips went away I hope you get some late bloomers. 🙂 Thanks for the comment. Your hens are adorable! and your dogs are able to be with them?!?!? I ‘m not sure what my little wild Max would do if there weren’t a fence between them. He wouldn’t hurt them on purpose, just kiss them to death. Lucky you, your tulips have bloomed ! Ours are still in the green leaf coming up stage. It’s been way too cold here , especially at night. They are trying though! Thanks for the comment. You are right you always have to keep an eye on them as you never know. I am glad your chick was still alive. It sounds like you have a great dog 🙂 Thanks for following me 🙂 I will be by to check out your site soon. There’s a local free range egg farm that uses dogs to care for their chickens. 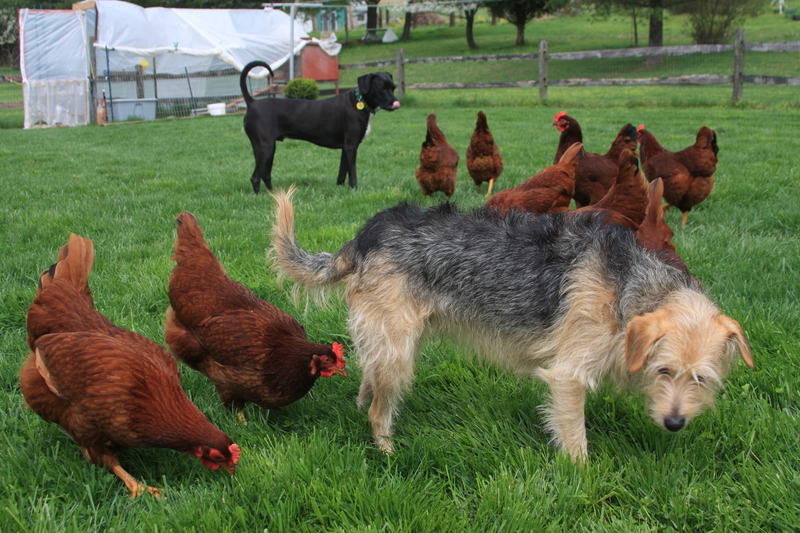 The dogs roam amongst the chickens and eliminate the threat from foxes. 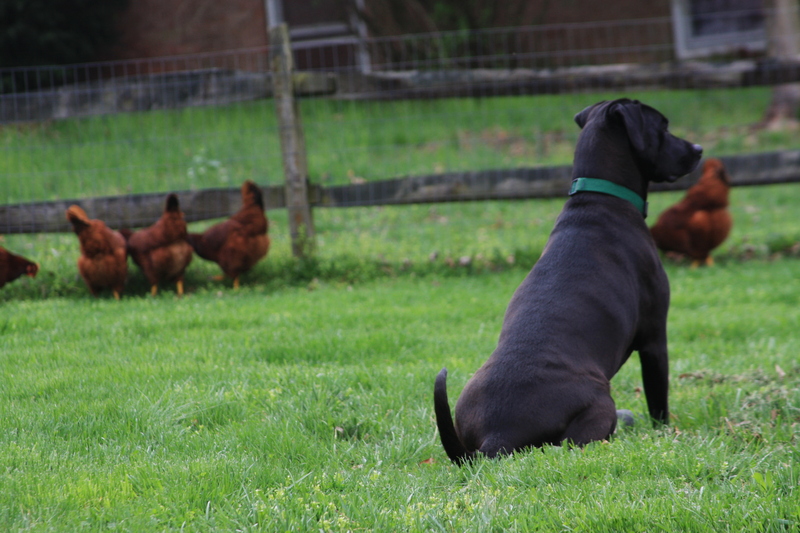 Apparently each dog has its flock and the hens know who is their guardian. 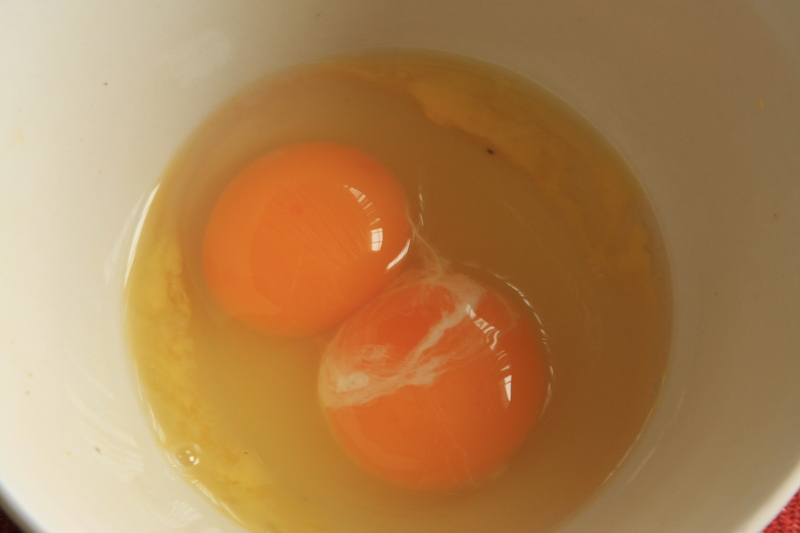 Dogs and hens do mix well and I’m sure yours will grow quite a bond. They’re all lucky to have such a great environment. Thank you very much. Our littler dog does seem to be more of the protector and hearder and the older is the watch out. I do hope this continues. I am glad to hear that other farms use dogs with their chickens. Thanks for the info. I’d like to have some chickens one day, although our might be in the city. 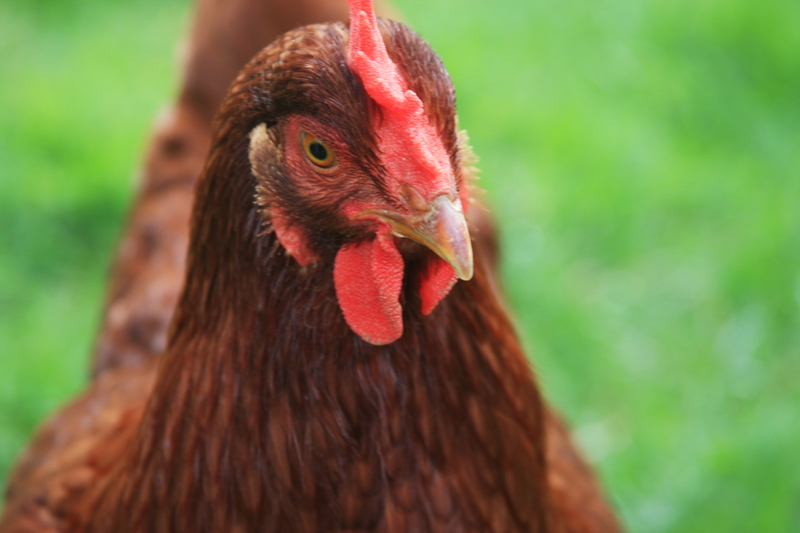 More cities are allowing chickens, which is great. Love Baxter! You can read about our adventures with our foster pit bull (who’s unfortunately at another foster home now due to our schedules) if you click on “dog” on my blog. One of these days I’ll write about our first foster, too. Speaking of chickens, the industrial chicken farms are so sickening! 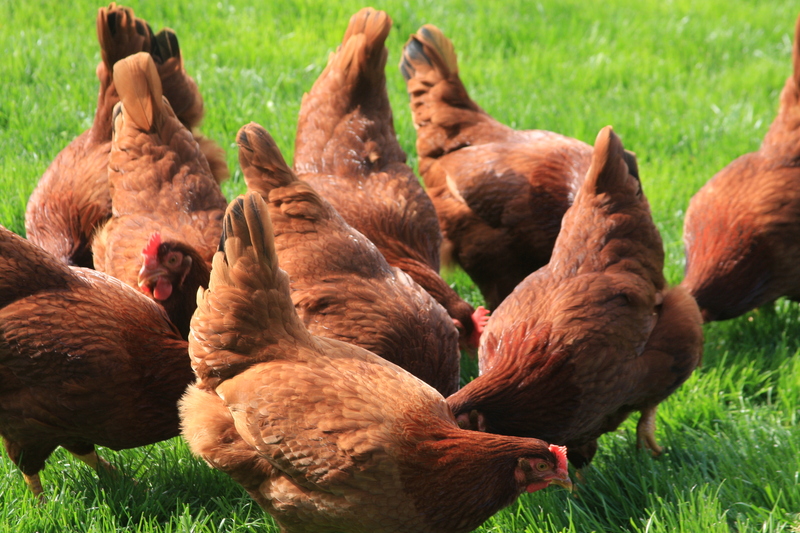 They’re a far cry from what the chickens on my Grandpa’s farm (and yours, too) experienced. It’s horrible! I agree with you about the industrial chicken farms, they make me sad. They are a long way from how we use to get eggs on the farm too. Love your photos. Chickens are really “in” right now, even in the city. When I was young I remember stepping very gingerly as I went to gather eggs for my mom or my grandmother. Hated stepping in it, if you get my drift. Baxter looks like my kind of dog. I know what you mean… we have to with dog and chickens sharing the same space. My family had chickens most of my life, but this is the first time my husband and I have been able to have them together. Baxter is a great dog.